Born in Paisley in 1984, Katie Pope has lived all her life within the west of Scotland. She grew up in Priesthill, in one of Glasgow’s peripheral housing schemes, where poverty was a predominant feature of life. Yet those communities were also places enriched by colour, friendship, humour and resilience. Such early experiences would shape Katie’s outlook, and introduced her to the divided nature of Scottish life. Her teenage years were spent in Motherwell where she attended Dalziel High School. 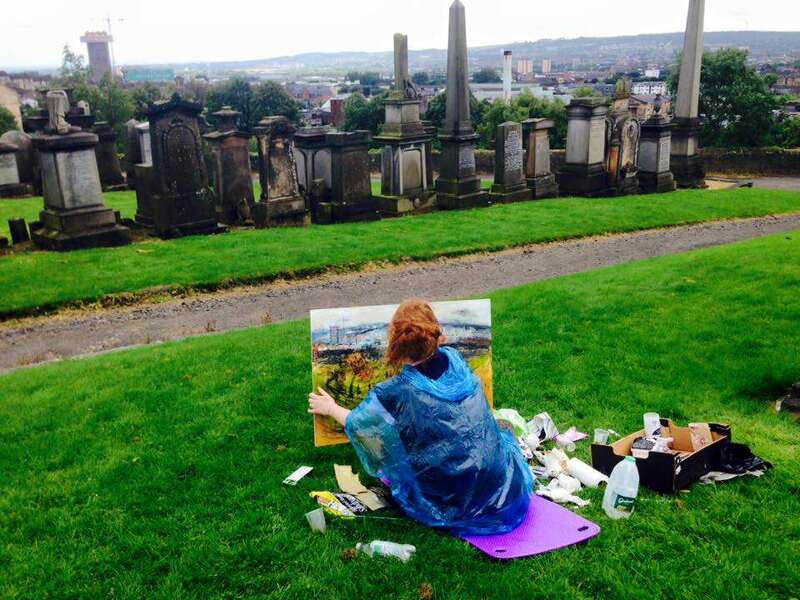 Support from family and teachers alike allowed her to nurture a fledgling interest in art, and after success in the Annual Kelvingrove Art Gallery and Museum competition, Katie decided to explore the possibility of a future in painting. 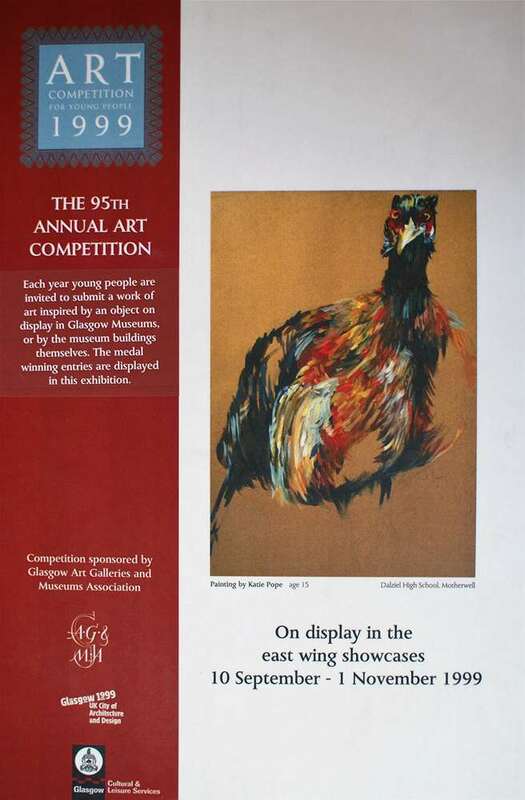 That passion flourished, and in 2006 she graduated from Edinburgh College of Art with a BA (Honours) in Fine Art that specialised in painting and drawing. Her Degree Show centred on the personal everyday realities of living in Motherwell, and paid particular attention to the many different local characters and her own teenage angst. Following Art School, Katie was awarded the RSA John Kinross Scholarship, and with it the opportunity to spend three months painting in the Italian city of Florence. It is a country that has remained influential to her work, and she has returned to Italy on two occasions since in order to depict its diverse landscapes and architecture. In 2008, the emphasis of her work returned to themes at home and culminated in the winning of the coveted Aspect Prize in London. Three years later, she again enjoyed competition success when announced as a prize-winner in the Jolomo Foundation Awards for Scottish Landscape. 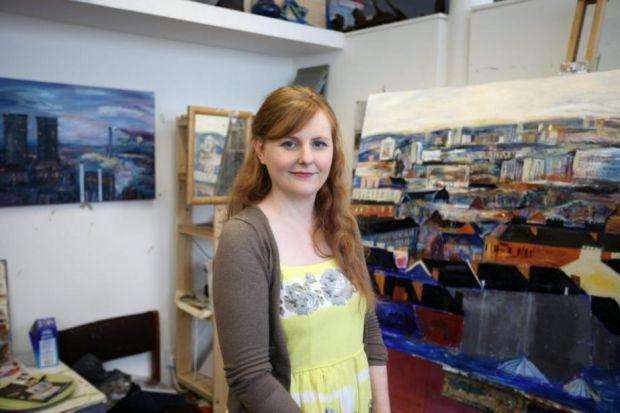 Since then, Katie has remained a Glasgow-based artist, operating out of the iconic studios at Trongate 103. Presently, she is concentrating on compiling a body of work for a 2017 solo exhibition to be held in her city of residence. Outside of the studio, Katie sings in The Just Joans, a Scottish indiepop band with a small but devoted following, and continues to harbour an interest in creative writing, poetry and illustration. When not artistic, she works part-time as a support carer for adults with learning disabilities.